seduced and enamoured or was i enamoured and then seduced? by a fragrance? in that now moment i was…in 1989, in milan, italy, i found a luvFIND, a fragrance by ETRO; lemon sorbet, and ten years later, gimmo etro, better known as signor etro, introduced me to another fragrance, etro etra. i was enamoured with this scent. signor etro, founded the design house, ETRO, in 1968, and today, still a family business, is operated by his four children. ETRO makes 24 distinctive fragrances, and several are universal, so you are likely to find a scent that seduces if not enamours you. the ETRO brand covers men’s and women’s ready to wear, home furnishings, and accesories using the finest materials, and in the most inventive and colorful patterns, creating designs that are truly unique. the brand is characterized by a motif, that is signor etro’s fascination and passion. he collects antique scarfs and shawls, dominated by a singular pattern: the paisley. in his collection he has shawls that date back to the early 1810’s. 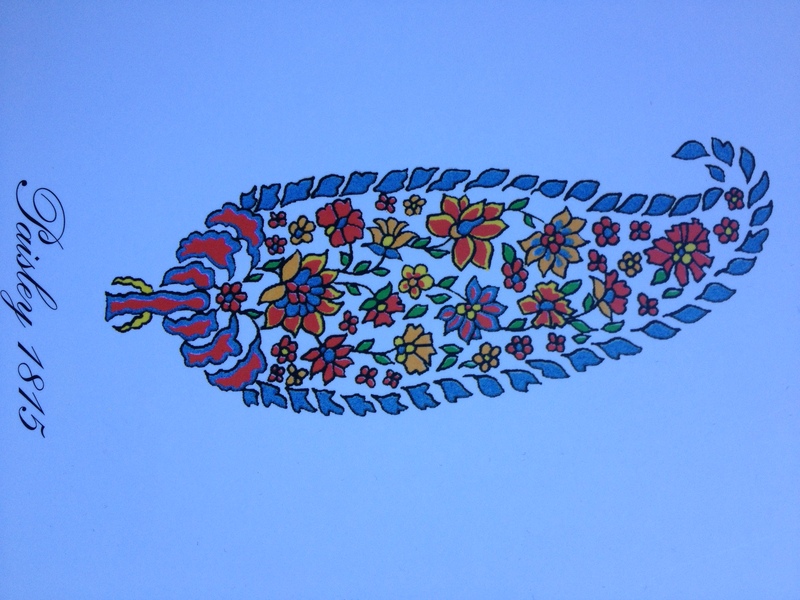 the paisely motif has its origins in mesopotamia and represents the tree of life. this pattern is famously characterized in indian handwoven fabrics, and not until the 19th century was it used as a design on shawls. threads of red, turquoise, yellow, olive green and ivory form the paisley motif, that became the icon for the ETRO brand. this decorative design is present in every ETRO collection. 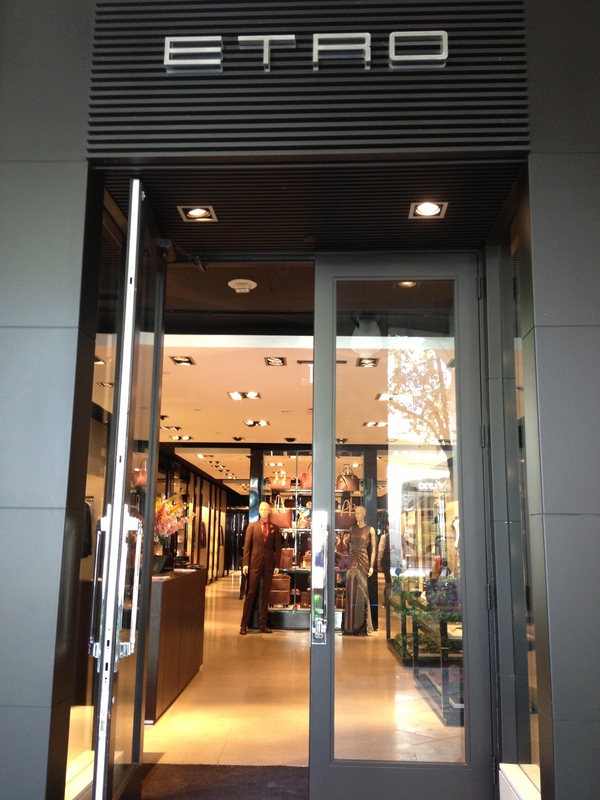 milan, italy, is ETRO‘s headquarter, but there are boutiques in most major cities of the world, including 5 usa locations. many of the locations, where the boutiques artistically display the collections, have a most interesting background and history, as art and culture are priorities of the ETRO family. one of the most beautiful locations is in florence, italy. the boutique is housed in the palazzo ruccellai, a renaissance historic architectural masterpiece. there, i often find an ETRO fitted button down shirt that i have to button on, and these shirts have become a wardrobe staple. the fit, fabrics and pattern designs, make the ETRO button down shirts a luvMUST that completes a milanese tailored look with a spin. i am most attracted to this look. is it the ETRO scent that seduces, or is the way in which you can button, your button down shirt that fascinates? the scent, the vibrant colours, and the iconic paisley in ETRO‘s designs are luvSTUFF that, well yes, still enamours thebestdressup now! an image of the paisley design, the ETRO brand motif, from signor etro’s unrivalled antique collection of paisley shawls. this romantic design enamours the eyes of thebestdressup now! marie crupi, the director of the ETRO miami boutique, in the merrick park center, in coral gables, florida, for the last 10 years, but will be soon relocating to bal harbour, florida. marie crupi, attentively and cheerfully, looks after the shop and its clients. this is a destination in miami for thebestdressup now! 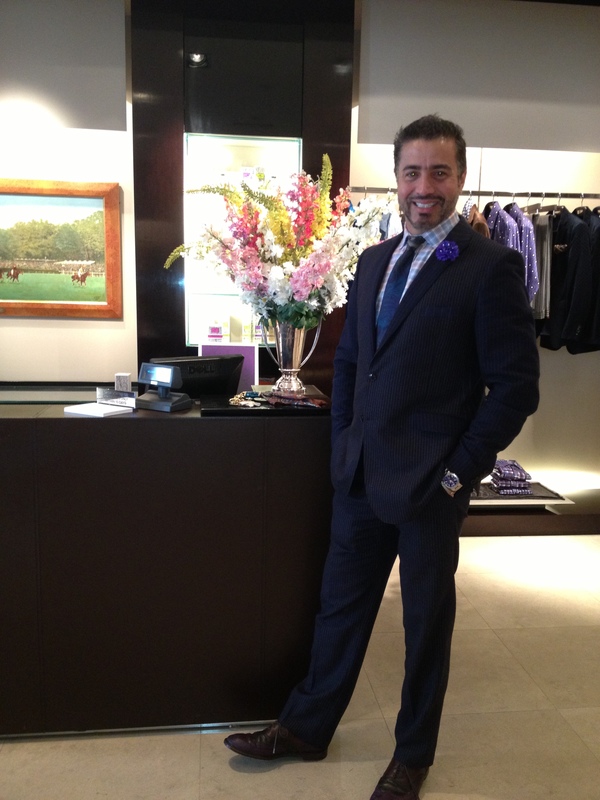 at the miami boutique, you will find sigi meneses, always happy to assist and bring you up to date with the brand. his vibrant energy represents well the colorful designs of ETRO. this is a look that is just inimitable, and dresses thebestdressup now! This entry was posted in FASHION, luvFAB, luvFIND, luvSTUFF, PEOPLE and tagged ETRO, FLORENCE, GIMMO ETRO, ITALY, MILAN. Bookmark the permalink. ciao! thank you for (ad) dressing my blog. your comment speaks to my heart. ciao! just the message. thanks. It’s a good idea to move to Bal Harbour! What an amazing post! ciao! thanks for (ad)dressing my blog and your compliment goes to my heart. Te deseo una semana plena de bellas emociones. ciao! hermoso deseo que comparto contigo.